When and who actually invented origami? Love origami? Learn how appeared and developed this art. Origami is the Japanese art of folding paper that has existed for many centuries. Unfortunately, the invention of this concept is not attributed to any specific person. Many masters have influenced the development of this art for many years. 1150 BC is the first known example of folding, we are talking about Egyptian map. 105 ad in China paper was invented, and you can't do origami without her. The VI century ad the Buddhist monks brought paper from China to Korea and Japan. VII century ad — the Mayan civilization was created by folding the book, called "code". The x century ad in Japan appeared a folding fan, which then spread in the Western world. XIV century ad — Chinese archaeologists have discovered a folded paper among the funerary objects in the tomb of the couple, who lived during the yuan dynasty. 1629 year, the Italian writer Matija Giger published a book which contained images of folded paper animals, which allows to conclude that paper folding became popular in Western Europe. 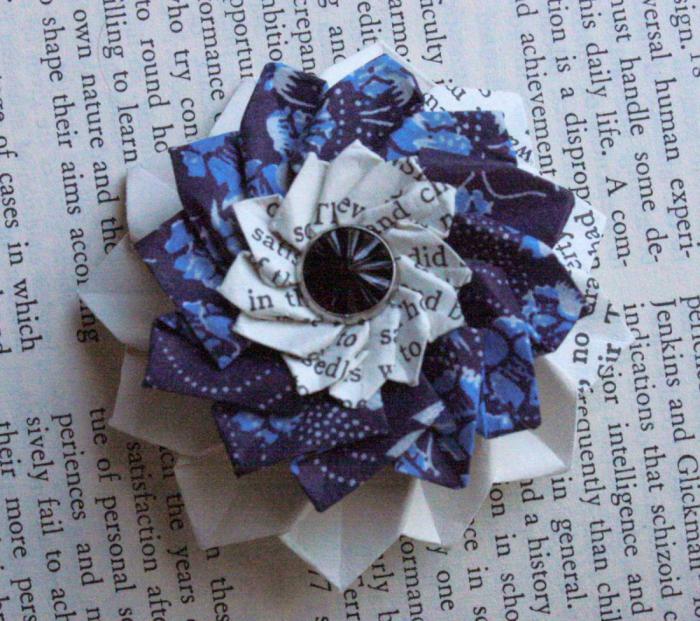 1680 a year — in the poem Ihary Saikaku mentioned folded butterfly-origami used in their wedding ceremony. 1764 — Sadatake ISE published the first book dedicated to folding paper. 1797 was published the book "the Secret folding of thousand cranes", which became the first book on entertainment paper folding. 1872 — by this time paper folding and got to North America, as the article in the magazine Scientific American, you can see instructions for folding paper hats. 50-years of the twentieth century, Yoshizawa and Randlett created a system of standard origami symbols, which are still used today. On Shinto weddings butterfly origami folded from paper, to represent the bride and groom. These butterflies were placed on top of bottles of sake, and they were called "Mecho" and "Ocho". As already mentioned, in this tradition there is a reference in verse Ihary Saikaku. Wrapper for gifts of paper folding called Tsutsumi, they were used in some ceremonies to symbolize sincerity and purity. Folded paper that accompanied the main prize, called tsuki. It was a kind of certificate of authenticity that validates the value of the gift. As soon as paper prices fell, origami was able to enjoy almost all the people of Japan. 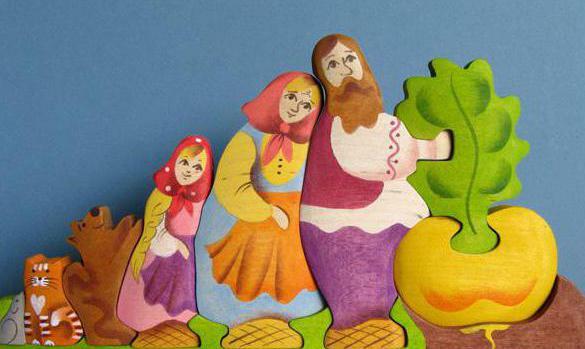 One tradition concerning paper folding, deserves special attention. We are talking about, senbazuru. Senbazuru — a thousand paper cranes, which are interconnected by one or more threads. According to Japanese tradition, if you can make a thousand paper cranes, you will be able to make one magical wish. It is "a thousand cranes" became the theme of the first books published on origami in 1797. Unfortunately, its author is unknown. As for the present, the tradition of folding a thousand cranes is associated primarily with Sadako Sasaki. Once on Hiroshima in 1945 was the atomic bomb dropped, Sadako was among those people who have developed leukemia. She struggled, tried to fold a thousand cranes while he was in the hospital, where he received treatment, but she died before he could see all the cranes. Friends and acquaintances graduated, senbazuru in her honor. This story formed the basis izvesnog children's book "Sadako and the thousand paper cranes" written by Eleanor Coerr. 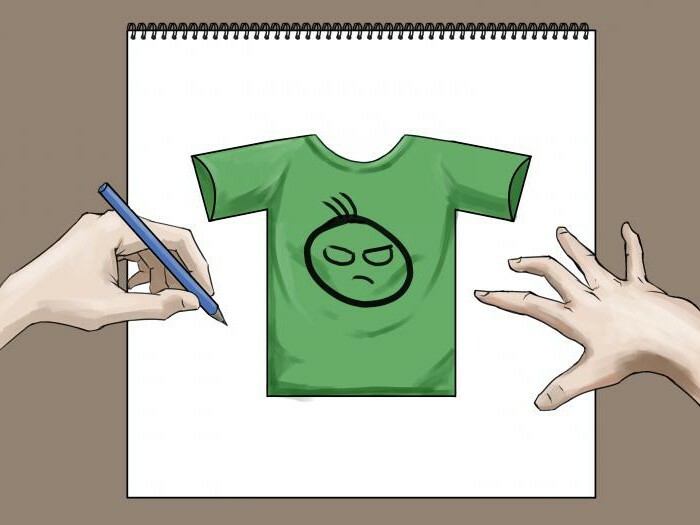 Worldwide it is recognized as a symbol of what effect war had on innocent children. In Memorial peace Park in Hiroshima with a big statue of Sadako holding a Golden paper crane. 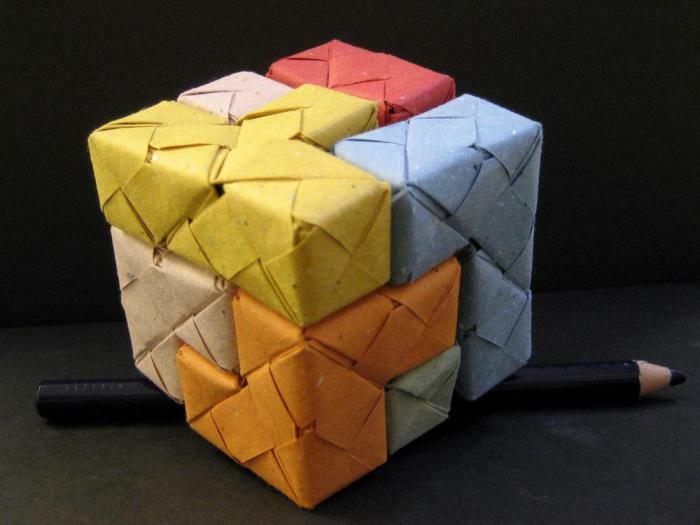 Akira Yoshizawa, who is often called the grandmaster of origami, began to practice this art in the three years. 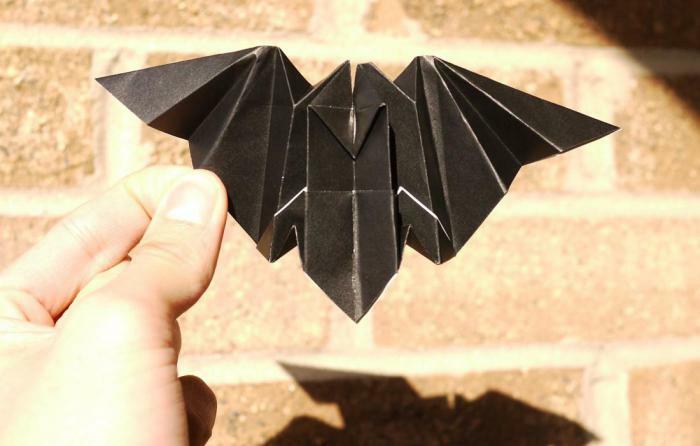 By the time he was 26 years old, he has already made origami an integral part of his life. Yoshizawa is known that he created his own designs, and not relied on traditional options. 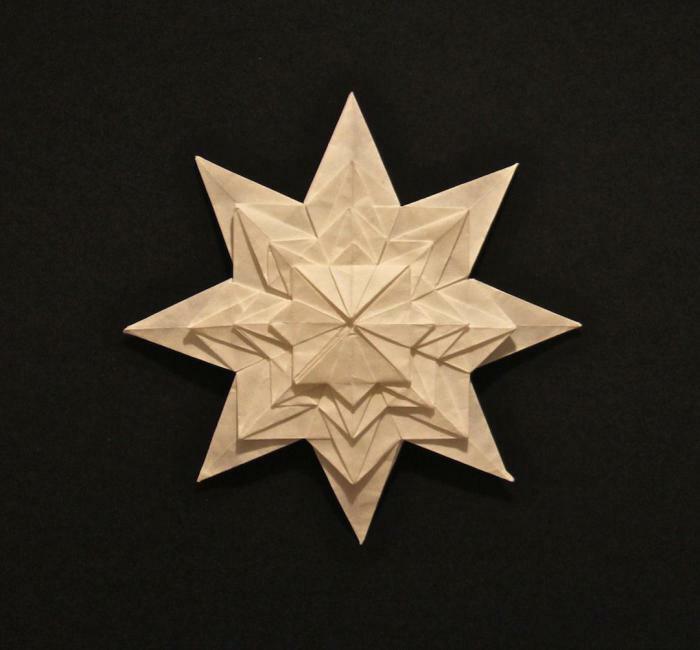 In 1954 he developed a system of symbols for origami standardization, so that other people can learn this art. The book "Art of origami" by Samuel Randlett, published in 1961, described the system created Yoshizawa in detail. He also added a few characters to describe several actions. Since then, the system Yoshizawa-Randlett used worldwide. Traditionally origami is defined as folded single sheet of paper without any cuts and without the use of glue. Modular origami deviates from the classical definition of art and is based on the creation of complex models from a large number of identical stacked elements. Model Sonobe, Sonobe created Mitsunobu appeared in the seventies, and it is attributed to the popularization of this direction origami. China. Cai LUN, a courtier of the Emperor during the reign of the Han dynasty, invented paper in 105 BC. 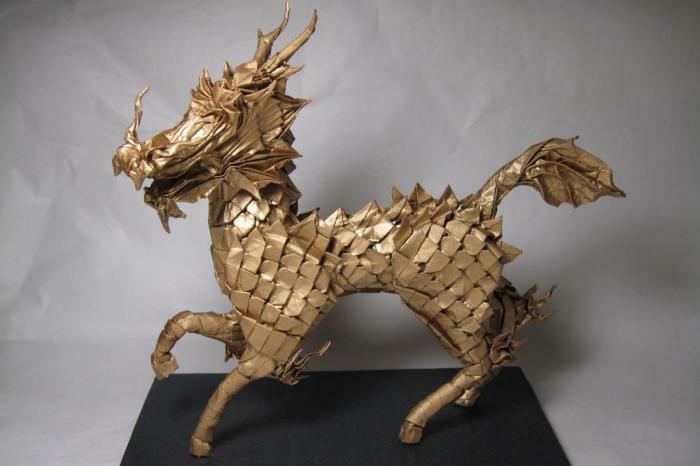 In China, the art of paper folding is called "Genesi". It is similar to origami, but in China prefer to make boats, plates, toys and other inanimate objects, while in Japan, most attention is paid to animals. Korea. In Korea, children in school learn the art of paper folding, which is called "Yong-eoby". Daki is a game that is played using folded paper disks, it is popular both among children and among adults. Spain. In Spain paper folding is known as the "papiroflexia", but unofficially it is called folding "pajaritas". Pajarita is a kind of paper chicken, which is considered a symbol of papiroflexia in Spain just as the crane is a symbol of origami in Japan. Germany. The Germans call folding paper "papierfalten". Star Frobel, named in honor of educator Friedrich Frobel is one of the most popular examples of this art. Frobel has dedicated his career to the use of paper folding, to make mathematical concepts more understandable for kids. 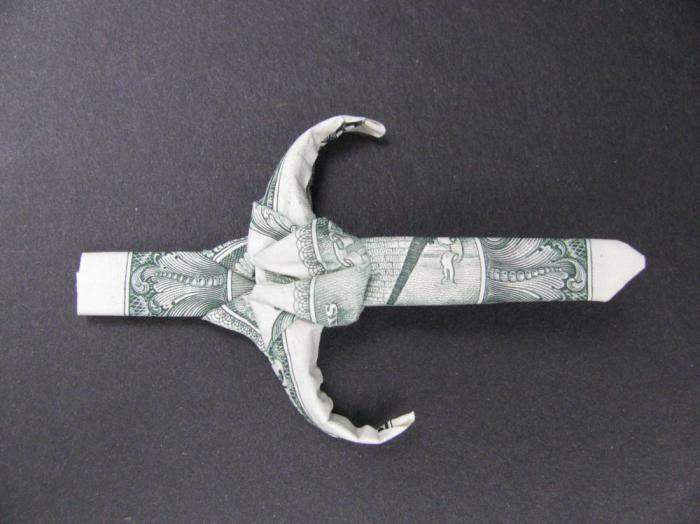 the Modern influence of origami differ greatly, since the creation of the massive sculptures from folded paper to create works of art, using the least possible number of bends. Geometric shapes and designs continue to amaze mathematicians and Amateurs, there are always new figures, which apply both to Japanese and to foreign traditions. 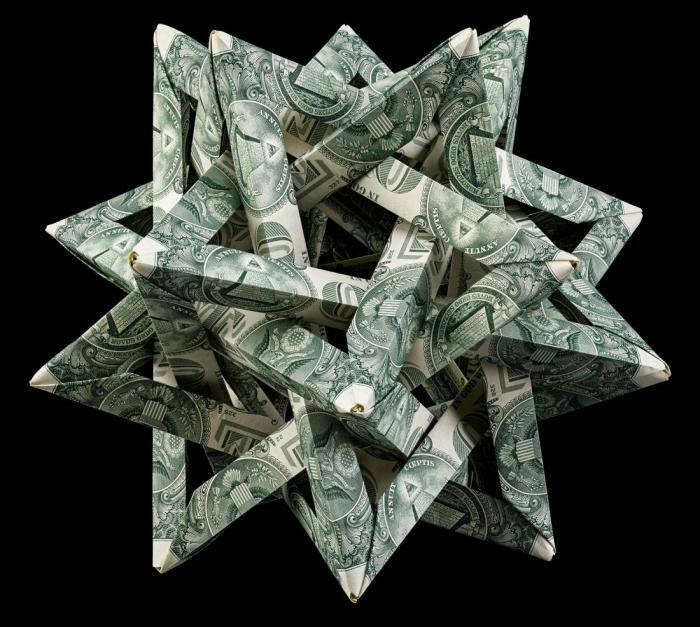 The answer to the question of exactly who invented origami, until what was found. But new theories, techniques and diagrams continue to appear, making origami will remain a popular art form for a long time.